The Henry Wheeler Center for Emerging & Neglected Diseases (CEND) is known for its ability to bring together people and organizations from diverse disciplines. From large annual events to smaller weekly seminars for students, CEND recognizes that exposure to the challenges posed by emerging and neglected diseases is the first step toward engaging new participants in this field. 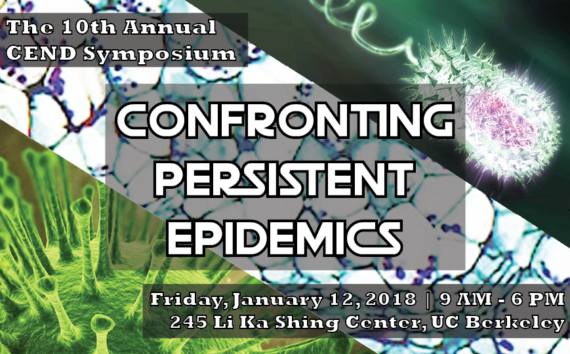 CEND Annual Symposium aims to strengthen connections between San Francisco Bay Area scientists working on infectious diseases of global health importance and the broader global health research, product development, and advocacy communities. The symposium features a dynamic list of invited speakers from around the world, including scientists from developing countries. Each January the event attracts over 400 registrants. Participants include academic researchers from UC Berkeley, UCSF, Stanford, UC Davis as well as representatives from local biotechnology and pharmaceutical companies and global health nonprofits. 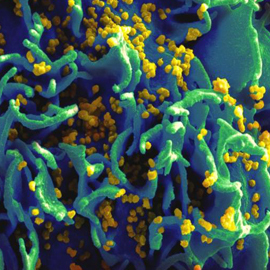 The Annual Bay Area Symposium on Viruses aims to strengthen the network of scientists in the San Francisco Bay Area working on virology, host-pathogen interactions, and control of human and animal viral infections. 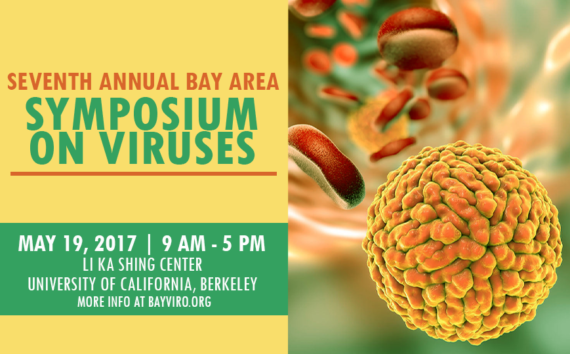 The symposium also serves as the annual meeting for BayViro, the Bay Area Virus Network (www.bayviro.org). The symposium attracts over 400 registrants each May, including industry scientists, academics, and researchers from DOE national labs. Each year we assemble an agenda of scientific presentations, round table discussions, and poster presentations. The infectious Diseases & Immunity Seminar Series is jointly sponsored by the Infectious Diseases and Immunity Graduate Group (microbe.berkeley.edu/idgroup) and the Henry Wheeler Center for Emerging and Neglected Diseases (CEND). Seminars are held on Mondays from 9-10 am in GPB 103. The Department of Plant & Microbiology Biology hosts a seminar series on Wednesdays from noon - 1pm in 101 Barker Hall. Approximately every other week a microbiology talk is featured. For an updated schedule visit the PMB seminars website. The Molecular and Cell Biology Department has numerous seminars and named lectures that are relevant to CEND's mission. 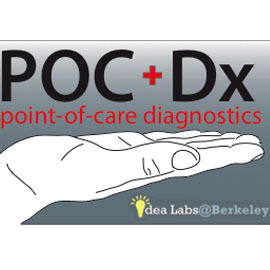 The Point-of-Care Diagnostics Idea Lab aims to foster an interdisciplinary community that is passionate about inventing novel solutions to the challenges of remote diagnostics. Innovation must come from a concerted effort across fields, and members of POCDx represent a wide spectrum from engineering, biology, chemistry, public health, medicine, and public policy. POCDx hosts a seminar series on Thursday evening and includes speakers sponsored by the Global Health Diagnostics (GHDx) initiative.